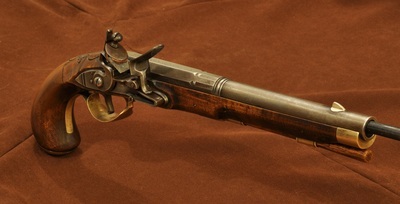 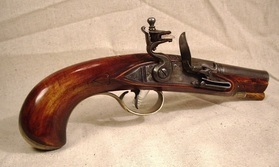 This pistol is a blend of features found on the Herman Rupp rifles as well as Jacob Kuntz's work, between 1800 and 1810. Architecturally, the lines and overall size of the piece mirror those produced by Kuntz, which often have a two-piece sideplate and a rich deep red violin varnish. 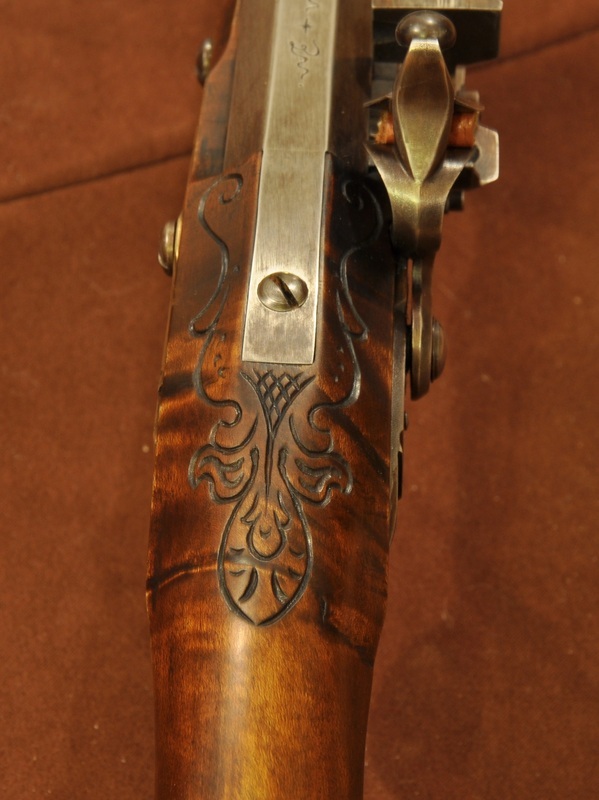 The tang carving is again a blend of the two artists, while the lock moldings, sideplate, and triggerguard follow Rupp's lines more closely. 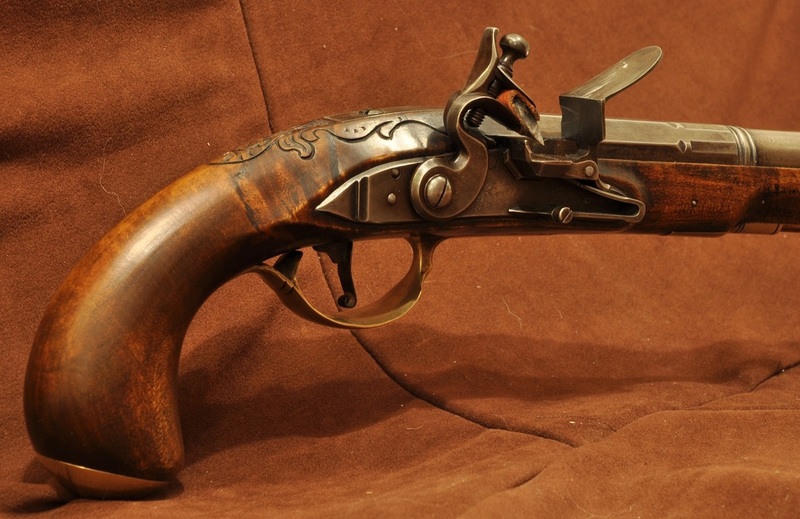 Stocked in a plain piece of hard maple, the pistol features an 8" .45 caliber rifled barrel and cosmetically altered small Siler lock. Stained with a dilute aquafortis, I used various natural pigments in the finish in an attempt to make the pistol appear as a "well cared for" original. 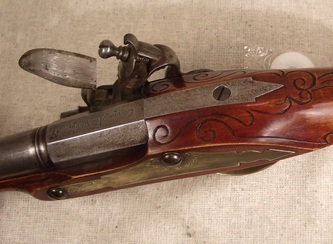 All furniture except the triggerguard was made in shop. A full scale plan of this pistol is available. 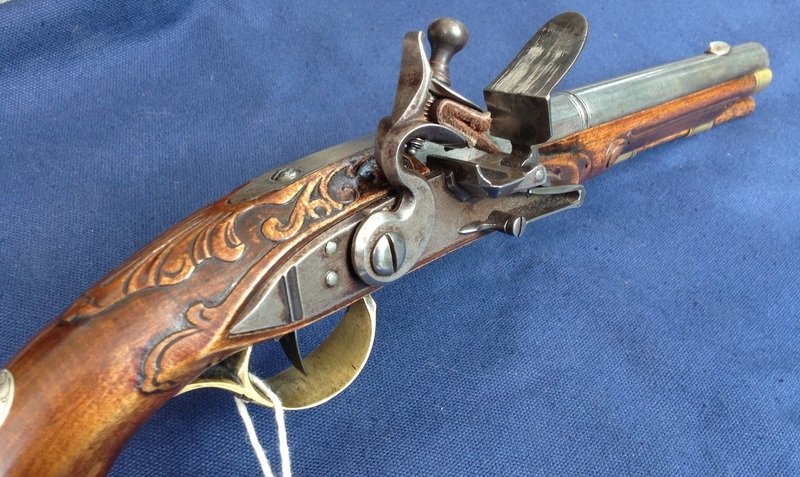 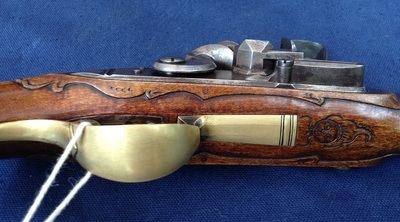 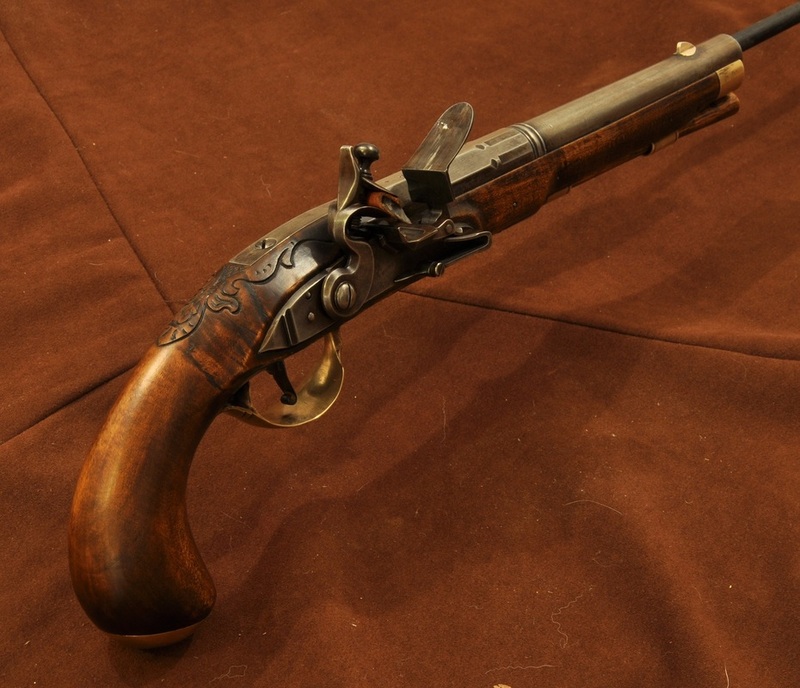 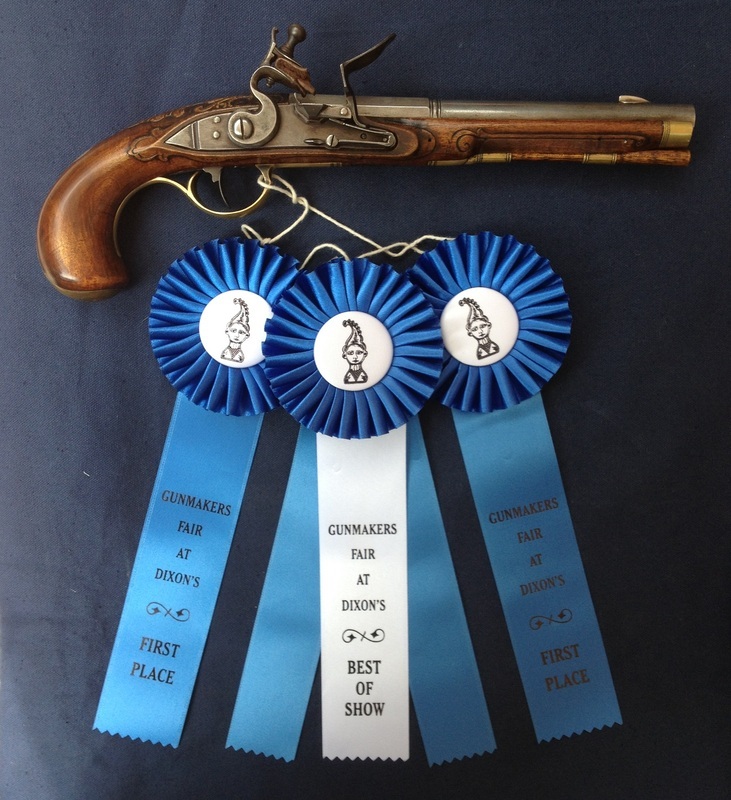 The pistol earned Best of Show at Dixon's Gunmakers' Fair 2014. 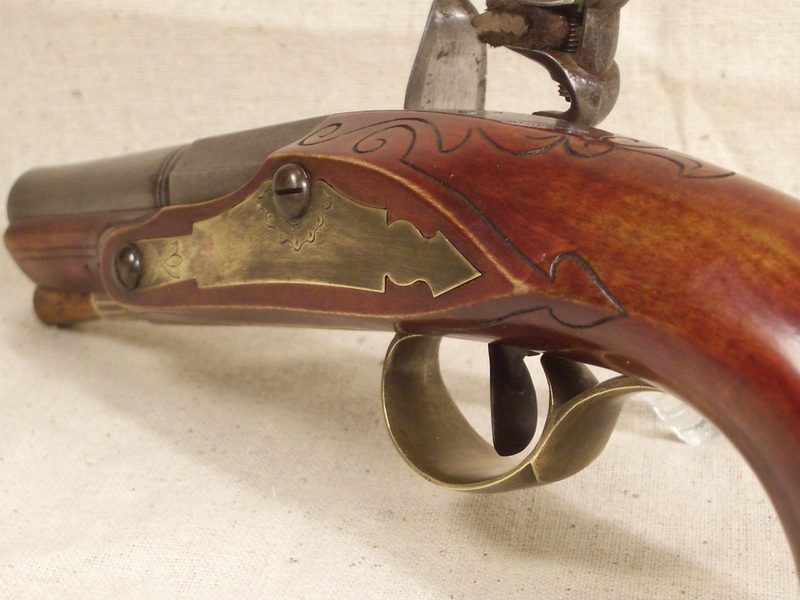 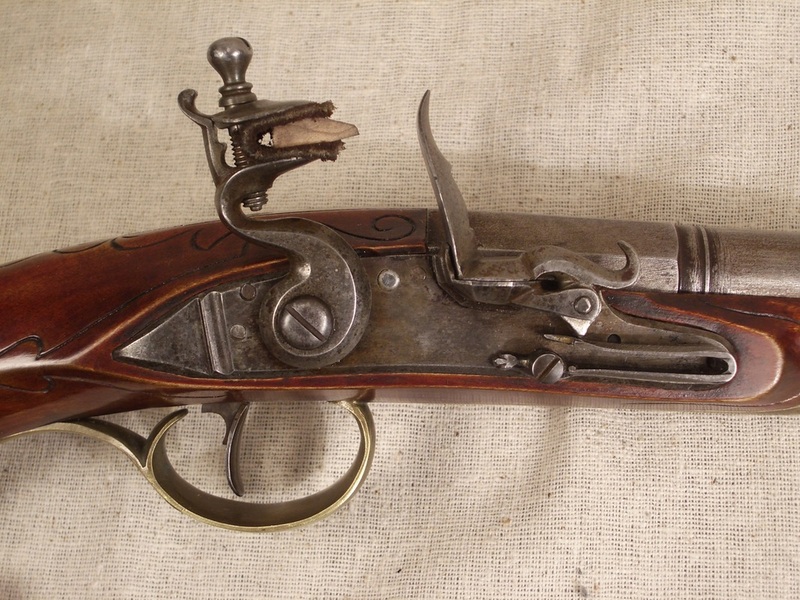 This pistol is not a reproduction of any specific original piece, but is a rather large piece using design elements found on early rifles built in the Christian's Spring area of Pennsylvania in the 1770s. 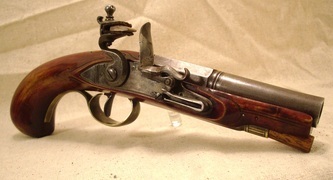 It is a robust pistol, build around a 10" .54 smoothbore barrel with a 1" breech and small Siler lock mounted low on the flats. Architecturally, the lock sections are reminiscent of early guns, with sharp tapering flats on either side of the barrel tang and minimal lock panels. 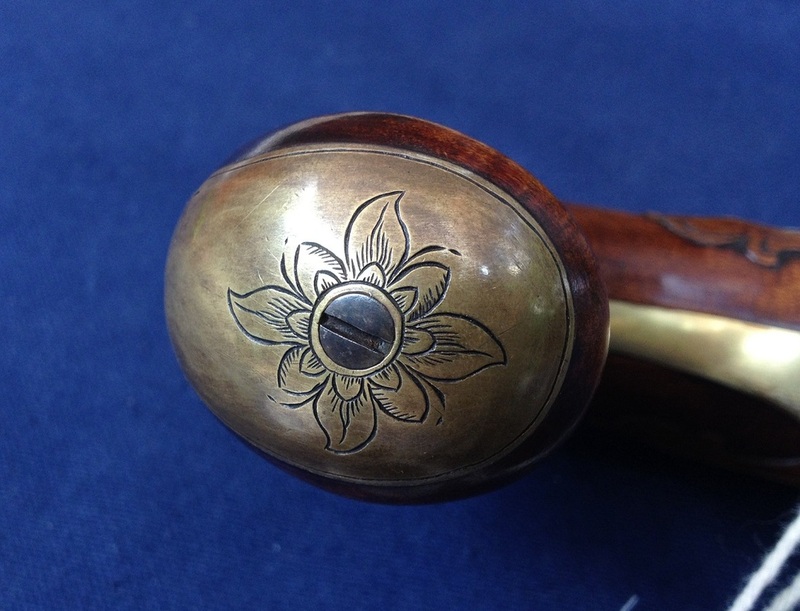 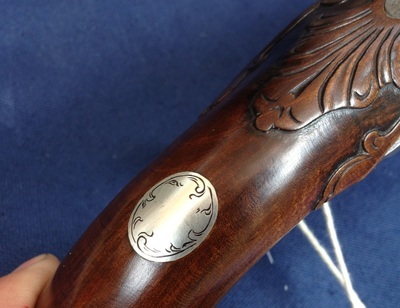 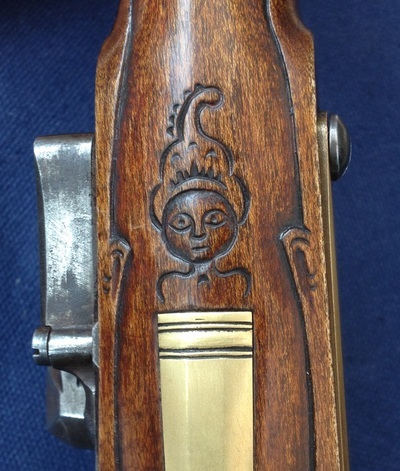 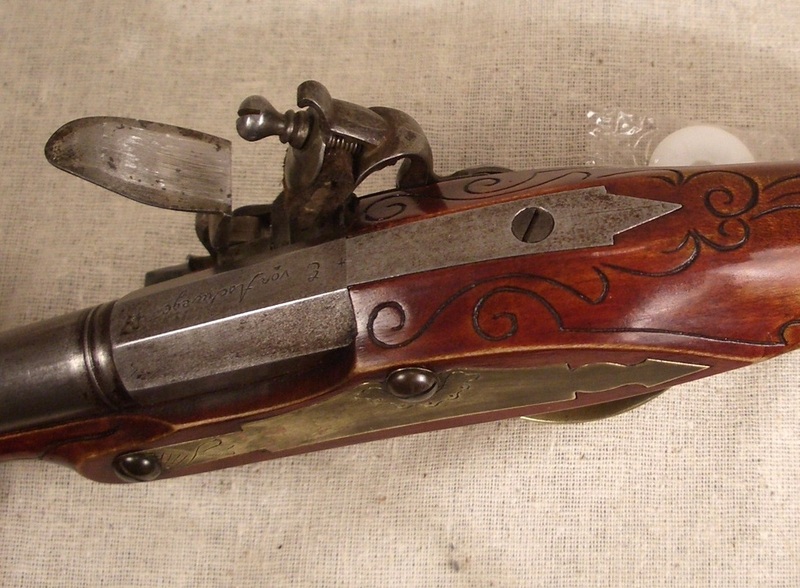 The sideplate is copied from an attributed Oerter rifle, and the incised carving is a simplified version of that found on the Edward Marshall rifle. 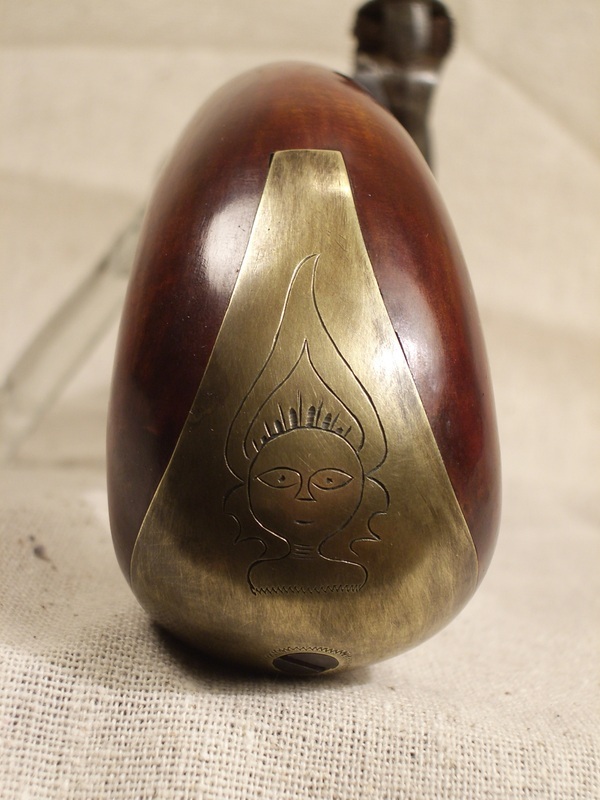 Finished with aquafortis, seedlac, and an oil varnish, then given a mild overall patina, this piece was built for a childhood friend of mine using a piece of Sycamore Maple from the yard we often played in as youngsters. 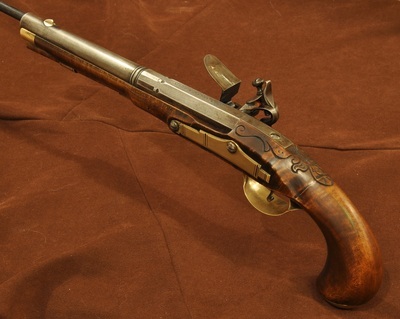 After handling a rifle by Claus in a private collection, I decided to downsize and create a pocket pistol in the same style. It featured a 4.5” .50cal rifled barrel, a customized Becky lock, a dense piece of sugar maple cut from a 200 year old tree in my neighbor's yard, and a brilliant Madder pigment violin varnish. 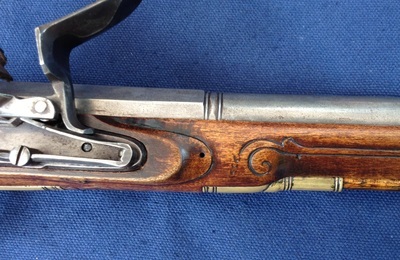 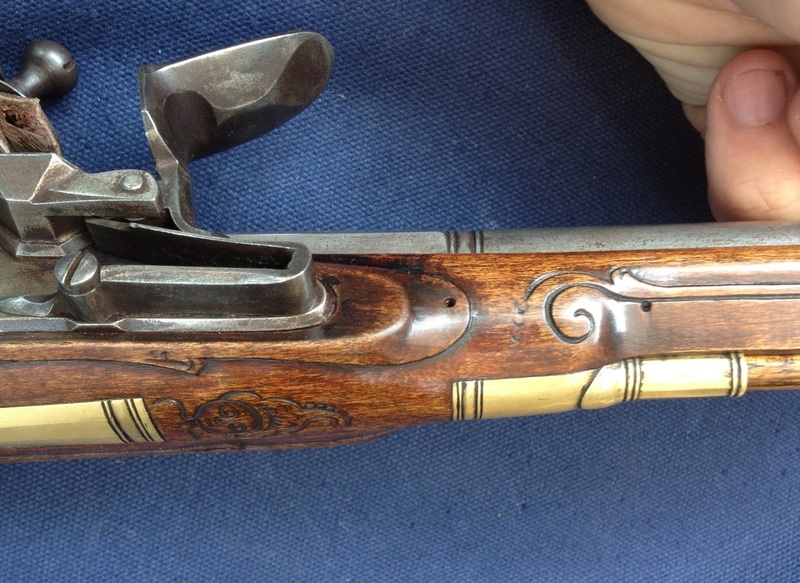 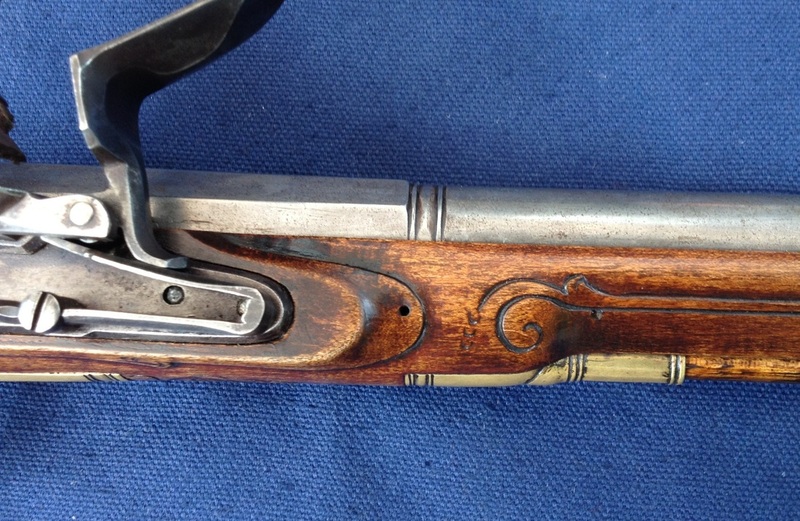 There are many features in common with the Lehigh Valley region, most notably the finish, sideplate, and “Liberty Woman” engraving. 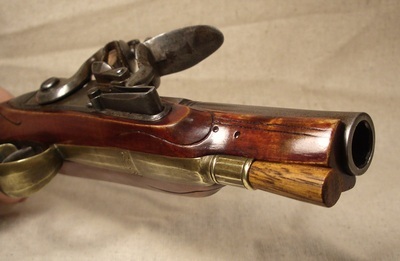 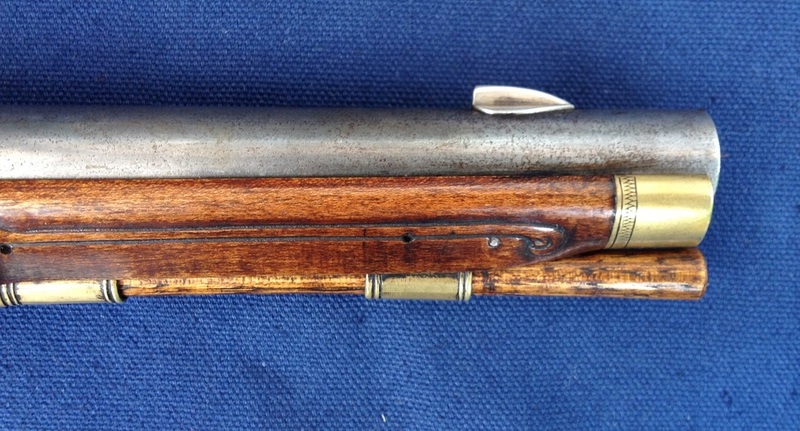 The entry thimble mates with the front extension of the triggerguard, in a similar fashion to the forestock wear plate on the original Claus rifle. Please see my tutorial on red varnish finishes for more information on staining and finishing techniques.